Taylor County is home to nearly 60 miles of coastline, four rivers, numerous streams and creeks, springs, a border on the Apalachee Bay, both natural and artificial reefs and quick access to the Gulf of Mexico. With so much of our area covered in water, it's no surprise that anglers come from all over the state to cast a line and reel in trophy-size catches of sea trout, redfish, grouper, sheepshead and more. You can fish from land, off of a 700-ft pier or from a boat - your own or a guided charter. The Econfina River is a great spot for flats fishing on the Gulf. Econfina, a Native American word for "natural bridge," is actually pronounced "ee-con-fee-nee," and not like it's northern creek cousin of the same name. Rumor has it that you'll find the best trout fishing on Florida's west coast in these waters, as well as a chance to reel in Spanish mackerel, mullet and redfish. 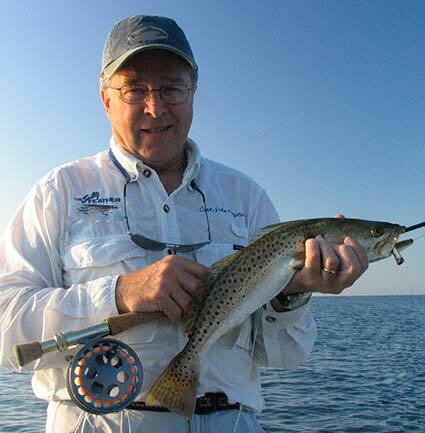 The Steinhatchee River is another great fishing spot, especially during the fall months of October and November, when spotted seatrout invade the river in huge numbers. The Steinhatchee River and Deadman's Bay (the name of the mouth of the river) is a fish-and-people-friendly river, so inexperienced anglers are almost always bound to get lucky. You can usually find out about the season's "hot spots" by asking around at local marinas and bait shops. There is always lots of action at the mouth of the Aucilla River, as it is home to a variety of habitats, including seagrass beds and oyster bars, which in turn are intermingled with tide channels and deeper holes. The surrounding flats are brimming with Spanish mackerel, flounder, tarpon and more. The river is known for some of the best redfish and seatrout fishing in the state; often you need do little more than drop a baited hook before you're reeling in a boatload of fish.